For the preparation of most painting surfaces: canvas, cardboard, illustration board, paper, etc. Chromacryl Gesso has excellent covering power and provides a smooth, even finish with a very fine "tooth". 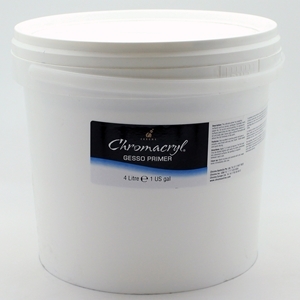 Use for the preparation of acrylic or oil paintings.